Over the last several years, the explosive growth of the online alternative lending industry has made it easier than ever for small business owners to access the funds they need to make their business goals a reality. Unfortunately, this also has meant an increase in small business loan scams over the internet and other channels. According to a survey by the Better Business Bureau and the Federal Trade Commission, 67 percent of small businesses said there’s a greater risk of scams now compared to three years ago. 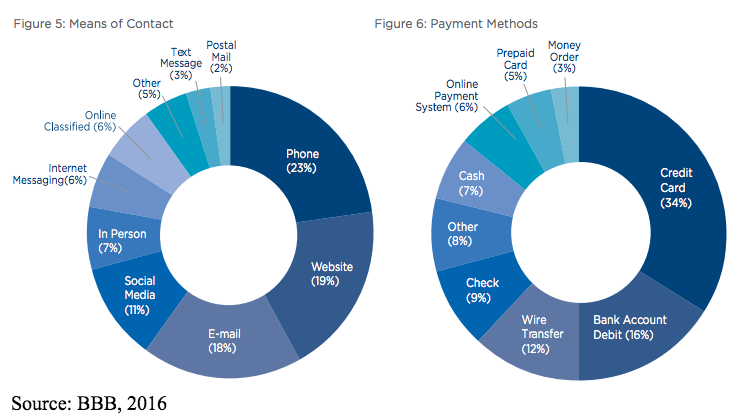 Marketplace scams accounted for $50 billion of monetary loss nationwide in 2016. And scams are often difficult to avoid because scammers masquerade as respected brands, bankers, and other people you trust. Though legitimate and trustworthy online lenders like OnDeck, Lending Club, and Kabbage have been immensely valuable to small business owners, they aren’t the only ones trying to reach your business. Thieves and hackers running business loan scams capitalize on business owners’ desire for quick, affordable funding. These con artists try to steal money, personal information, and business information by pretending to be legitimate lenders or small business loan brokers. But don’t worry. There are plenty of ways to spot these business loan scams and avoid them. And if you do fall victim to a scam, you should know how to report the incident and get back on your feet. Here’s everything you need to know to become a smarter, more prepared business loan borrower. Business loan scammers use many approaches to steal your money and personal information. Although small business owners have access to plenty of credible and beneficial funding opportunities, you do need to stay on guard for some of the less-than-honest, self-described “business lenders” or “loan brokers” whose real goal is to steal your money or identity and run. Most scammers will attempt to contact you online, through email, websites, or search engine ads. But those aren’t the only ways. Phone fraud, text fraud, and direct mail fraud are other channels for scammers. Your best defense is to remain cautious whenever someone asks you for more money, personal information, or non-public business information. 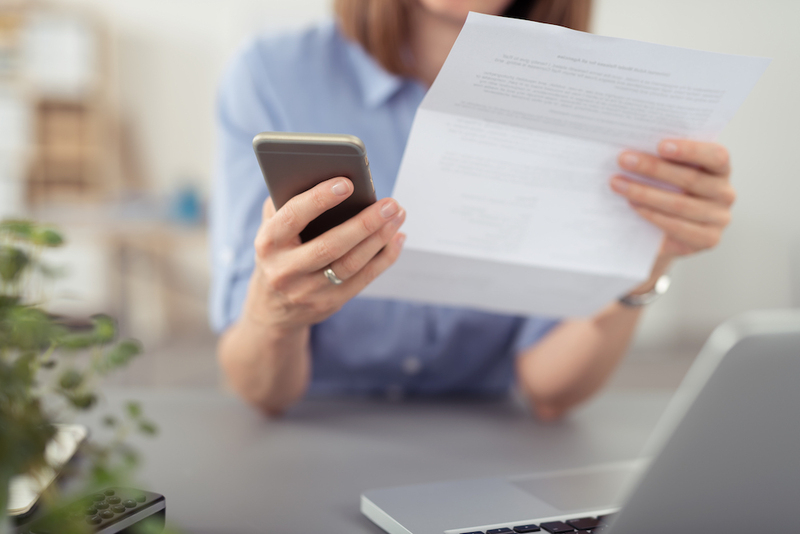 Before you sign any questionable contracts or send anyone your hard earned cash, make sure you’re aware of and on guard against common—and avoidable—business loans scams. Scams can occur while you’re loan shopping and after you get a loan. An advance fee scam is when an individual or company promises easy access to low-cost debt in exchange for an upfront payment. The scammer might call the payment an “application fee,” a “processing fee,” or a “one-time fee.” Whatever the label, the motive is the same: The scammer is asking you to put money down before they can approve you for a loan. Advance fee scams are among the top five types of marketplace scams. These scammers entice you to pay the fee by promising that anyone can qualify for their low-interest loan products. These “lenders” often claim that a poor credit history or bankruptcy won’t prevent you from getting a low-rate loan. This is definitely a red flag. Most lenders, with the exception of extremely expensive merchant cash advance companies, have credit score minimums and restrictions on former bankruptcies. At the end of the day, the lower your credit score, the more you’ll have to pay in interest. Unfortunately, the “lending” space is ripe with companies that commit to product and services that they cannot execute on. My company found this out the hard way at the end of 2017 when we went through a lengthy engagement for a term loan of $1 million. The lending company touted short close times and plenty of capital. We paid a $35,000 ‘work fee’ with a signed agreement stating that if we had not been funded by a certain date, we would be fully refunded. The funding date came and went, and we never saw the loan. We have since tried to get our money back through the court system, and have a judgement in our favor, but we still have not been able to collect on it. It’s frustrating for an emerging business to lose $35,00, but it was much more than that for us. We needed the note to facilitate multiple transactions, and not having that access set us back millions of dollars. Although you should be wary of advance fee scams, you should know that legitimate lenders might also charge upfront fees. For instance, banks often charge upfront application fees, credit check fees, underwriting fees, and origination fees before closing on your business loan. The key is who you’re working with. Lending platforms like Fundera pre-vet the lenders on their network, so you know that only legitimate lenders are receiving your information and money. If you come across a lender online who you’ve never heard of, and they ask for your money right away, steer clear. 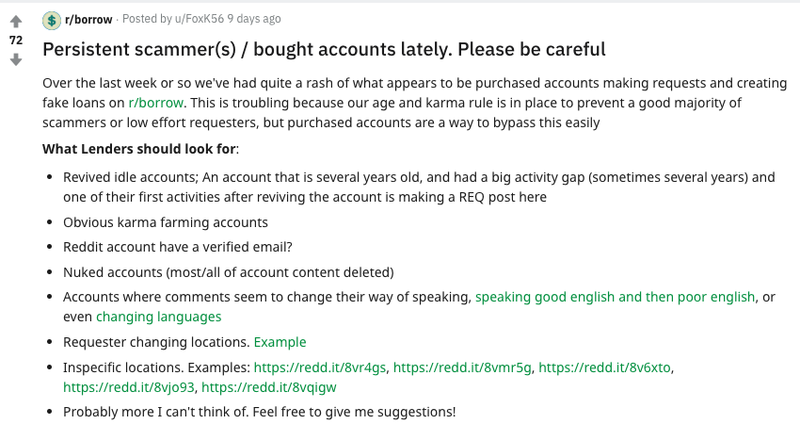 Peer-to-peer lending scams on platforms like Reddit have become more common. Verified peer-to-peer lending platforms such as Lending Club, Prosper, and Funding Circle have become an increasingly popular avenue for business loan funding. These platforms draw on the power of numbers. Each site has thousands of investors, who can decide to buy a loan or a portion of a loan that meets their desired credit standards. So instead of having a bank or company as your lender, dozens of investors collectively act as your lender. Trustworthy peer lending platforms can be a great way for business owners to obtain financing. Unfortunately, unscrupulous “peer lenders” use social platforms—think Craigslist, Facebook Messenger, even Reddit—to take advantage of unsuspecting business owners. The typical peer lending scam often looks very similar to the advance fee scam we described above. The difference is that the solicitation comes from an individual offering a peer loan instead of from a phony business. These peer lenders will usually ask you for some kind of upfront payment to secure your loan—or to conduct a background check. That means, along with taking your money, these supposed peer lenders could also be requesting sensitive personal data—such as your full name, date of birth, and Social Security number—to complete their phony background checks. If you fall prey to a peer lending scam, the supposed lender can steal both your money and your identity. And once they have the money or information they want from you, you’ll never hear from them again. To avoid this scam, rely only on reputable peer lending platforms when considering any peer-to-peer borrowing opportunity. Never use a money wiring service like Western Union for a business loan (these services offer much thinner fraud protections than banks), and never offer payment up front for any reason. Some online loan providers want you to believe that obtaining a business loan is so complicated, you need to pay them to walk you through the process. Don’t buy this! This is one of many business loan scams. In this case, scammers might offer you insider tips or tricks to complete your business loan application, obtain special government grants, or qualify for some special low-interest business loan product. The truth is that any and all information you need to obtain a business loan is readily available online—and for free—from verified online lenders, loan brokers, or marketplaces like Fundera. And you should be wary if you see “free” and “government grants” in the same sentence. With the exception of a few targeted grants for research and development companies and agriculture businesses, federal government agencies don’t offer free business grants. Plus, the US government will never call anyone to offer a grant. Information about government grants is available on the official website Grants.gov. Have a specific question that you can’t find an answer to online? Any ethical lender or loan broker should be more than happy to answer your questions free of charge, providing you whatever information you need in order to make the right borrowing decision for your business. Anyone asking you to pay for information on obtaining a business loan or grant is simply taking advantage of your earnest search for information as a means to line their pocketbook. What It Sounds Like: “Increase your credit score by 100+ points in less than 7 days! Lowest fees in the industry. 3-Way Disputes with Creditors, Credit Bureaus, and the FTC. Fast-Track Your Credit, and Sign Up Now! Your credit history is the most important part of your financial record when you apply for a business loan, so scammers abound who claim to help you wipe out a poor credit history or raise your credit by hundreds of points overnight. These scams exist in the area of personal credit and business credit repair. New businesses are especially at risk for these scams because they haven’t built an extensive commercial credit history yet. Although there are some legitimate credit repair companies, their services typically don’t add much value. You can do everything they are promising on your own for free. For instance, there’s a clear and simple government-mandated dispute process for removing errors from your credit report—you don’t need anyone’s help and can do this for free. And there are plenty of actionable steps you can take on your own to improve your credit score. If you really feel underwater and need some assistance, seek out the Justice Department’s list of approved credit counselors. Don’t believe anyone who says that they are going to increase your credit score by hundreds of points overnight. Also beware of anyone pressuring you for upfront fees to improve your credit or who promises to remove negative but true information from your credit report (that’s not possible). Improving credit can take weeks, even months of financial discipline. The good news is that you don’t necessarily have to wait for the perfect credit score to apply for a business loan. There are plenty of legitimate lenders willing to work with you even if you have low credit or a short credit history. While not technically a business loan scam, this is another con job waiting to hit anyone on the market for business funding. In this scenario, the scammer will pose as an “agent” for a large foundation or financial fund, or even as a wealthy angel investor who is interested in funding your business. But instead of inviting you to make a pitch, they will try to collect sensitive financial information from you online. They might ask for your social security number (to conduct a “background check”), your business’s tax ID number, legal papers, or financial statements. Again, as with advance fee scams, the supposed “investor” might ask for an upfront fee. Not only is this scam taking your hard earned money for an investment opportunity that will never come to pass—but these scammers are also gathering personal information about you and your business that can later be used for identity theft and other forms of fraud! Many of these scammers prowl websites that connect entrepreneurs with angel investors and venture capitalists. If you’re interested in finding legitimate investors for your business, expect to put in a lot of time and effort building connections, creating a pitch deck, and meeting with investors. Equity financing is not a get rich quick scheme and can actually take one year or more to pan out. This all-too-common business loan scam looks very similar to the advance fee scam, with the exception that the phony business in question is not a lender, but a broker promising to connect you with a reputable lender. A loan broker’s role is to help you find the right loan product for your business, prepare the necessary paperwork for your application, and connect you with lenders who will be a good fit for your business’s needs. While this is a lawful service available from verified loan brokers, the service becomes a scam anytime a loan broker asks you to pay upfront for their services. Ethical loan brokering services work on a commission-based model in which the broker obtains a percentage of the total loan after closing. And the best services take their cut directly from the lender and at no cost to you. Any loan broker who asks you to pay up front is at best charging you for a service that you should be able to get for free—and at worst planning to take your money and run. You might think that you’re out of the woods once you obtain your business loan. But there are scammers who prey on people who already have a loan. Debt relief scammers have one main target: people who are having trouble keeping up with their loan payments. These scammers might promise to cut your loan payment in half or forgive your outstanding debt. They will likely ask for your personal information and business information so that they can “analyze” your credit standing and current debt. Some might even ask for bank account numbers, so they can start the process of “transferring” your debt. In addition, they might ask for an upfront fee. You should be on high alert if a lender offers “guaranteed approval” or promises to “get you out of debt.” Legitimate debt relief solutions, such as debt consolidation nor refinancing, don’t reduce your debt level. Debt consolidation simplifies your monthly payments by combining multiple loans into one loan with one monthly payment—for example, three $20,000 loans become one $60,000 loan. Refinancing lets you lower your monthly payment by getting you into a lower-interest loan or longer-term loan. The best thing to do if you’re struggling with loan payments is to contact your lender. Your lender can work with you to lower your payments, for example by extending your repayment term or putting you on a payment plan. Refinancing and debt consolidation can also help, as long as you’re going through a legitimate lender. If you take out a small business loan but are unable to pay the loan back, the lender will contact you. So if you fall behind on payments, how can you tell the difference between a legitimate debt collector and a scammer? The main red flag is if the caller uses unusually harsh or high-pressure tactics to try to get you to pay the outstanding debt. Legitimate lenders will usually try to work out a payment plan with you if you can’t afford a loan. They want to keep your business and avoid the hassle of taking you to court. But scammers might pose as the police or threaten to take legal action against you if you don’t pay immediately. In addition, if the caller doesn’t seem to know details about your loan, such as the outstanding balance or the interest rate, that’s another red flag. You should never pay any delinquent debt unless you have a notice in writing showing the outstanding loan amount and the name of the creditor. As you can see, there are a whole host of ways that well-meaning business owners can be duped by con artists looking to make a quick buck. 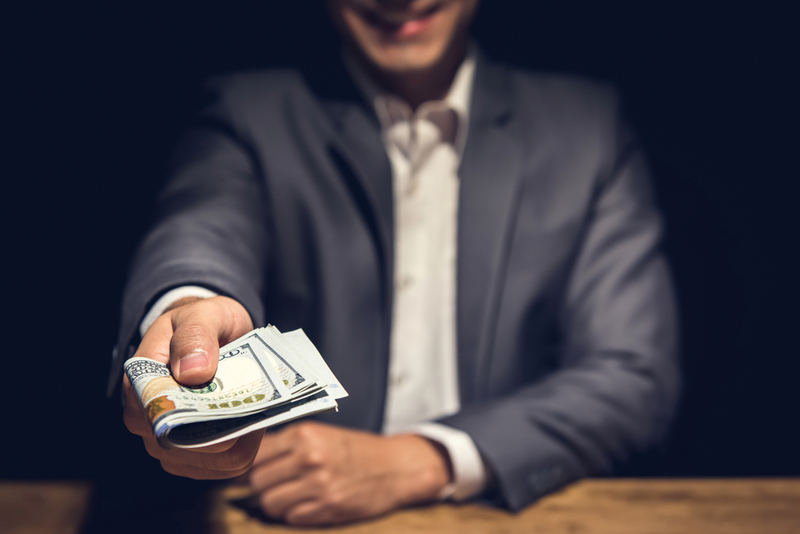 What we’ve highlighted above are the eight most common business loan scams—but these aren’t the only forms of business loan fraud that you might encounter. Every day, criminals come up with new and creative ways to waste your time while stealing your money and your personal information. Cold calling isn’t a common method among credible small business lenders for connecting with new prospective borrowers. If you hear from someone out of the blue offering you a business loan and you’ve never initiated contact through an online form or any other method, consider that your first clue that something might be amiss. Legitimate business lenders typically don’t advertise on Craigslist, personal Facebook messages, or yard signs on the side of the road. If you see marketing messages for a business loan that look out of place, it’s probably because they are—and the person sharing that advertising is up to no good. This is a good way to avoid business loan scams. We’ve said this before, but it’s worth reiterating. You should never—ever—give someone money up front for the purpose of a business loan. Not for a credit check. Not for a brokering service. Not for an application or processing fee. There is no reason that you should ever be required to pay money in order to obtain money for your business. If any lender, loan broker, investor, or platform asks you for any form of upfront payment, end the relationship immediately and move on. Even online lenders who connect with their customers exclusively over the internet have a registered physical address for their headquarter offices that you can easily research and identify. In fact, listing a physical address is a legal requirement for sanctioned lending institutions—so if you’re questioning the credibility of a loan opportunity, asking for the business’s physical address is a great way to investigate whether or not this is just another business loan scam. If your point of contact won’t offer a physical address, gives you only a P.O. Box number, or if the address they provide doesn’t seem to match the business they claim to operate—that might be further evidence that your instincts were correct. Similarly, authorized lenders and loan brokers don’t use generic email addresses. If you’re receiving contact about a business loan from a Yahoo, Hotmail, or generic Gmail account, that’s a clear sign you’re being scammed. Keep in mind, though, that the presence of a website or domain-associated email address doesn’t necessarily prove that a lender or a loan broker is the real deal. These days, anyone with modest technical skills can purchase a domain and set up a basic website that looks just like a real business. Among credible business lenders, there’s no such thing as “guaranteed” approval for a business loan prior to a credit check and financial review. If you see advertising or receive unsolicited contact for a business loan that makes any mention of “guaranteed approval,” you have most definitely encountered a business loan scam. Does the loan officer or broker you’re communicating with seem just a little bit too eager to sign the dotted line on your small business loan agreement? If you’re getting the slimy used-car salesman vibe, trust your instincts, take a pause, and research the validity of your business loan opportunity. This could be just another business loan scam. Credible or not, any loan representative who isn’t willing to give you a night to sleep on such an important decision isn’t someone you should be doing business with. Simply put, does this funding opportunity just sound too good to be true? Is the interest rate dramatically lower than what you’ve seen elsewhere, or are you being offered funds outright before you’ve provided any information about financial history, your business plan, or how you intend to repay the loan? Don’t fall into the trap of these business loan scams! Our biggest piece of advice when considering whether a loan opportunity might be a scam? Trust your gut. And if in doubt, go a different direction. 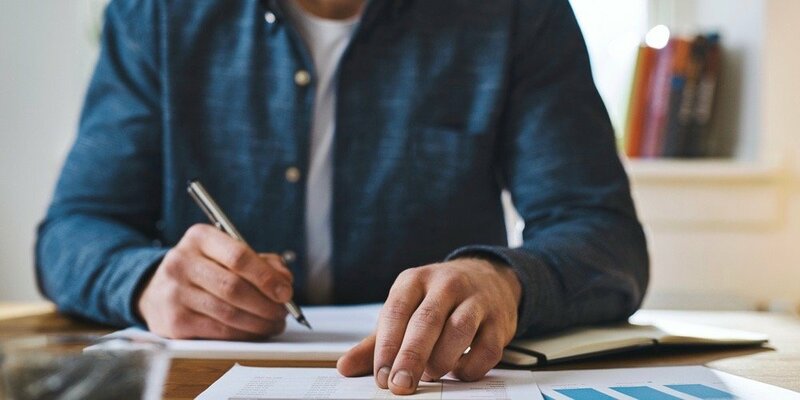 There are enough legitimate, verifiable online lenders out there for you to find the funding your business needs without wondering if you’re about to be swindled. As long as you have a solid business plan and are in a financial position where it makes reasonable sense for you to be taking out a loan, you have every opportunity to get what you need without becoming the victim of a fraud. After reading about these common loan scams, you might think that you would never fall for something like this. But even the savviest of small business owners can make a mistake. As marketplace lending grows more complex and more lenders enter the small business loans space, you can’t be too careful. Scammers often masquerade as well-respected brands to get your money and information. Certain groups are at especially high risk. Millennial business owners might not have enough experience with business ownership to avoid scams. Baby boomer, “second-career” business owners should also be careful to avoid scams, especially if the seed money for your business is coming out of your retirement savings. A wrong move, and you could lose your nest egg. If you find yourself in the middle of a loan scam, your first steps will depend on whether the scammer stole your money, your personal/business information, or both. Report the scam to the Consumer Financial Protection Bureau (CFPB). The bureau will review your complaint and publish the complaint in a public Complaint Database. They might also take legal action against the scammer if enough people report the same kind of scam. Call your local police. File a complaint with your local police. They might not be able to do much to help if the scammer used untraceable methods, but when there’s a financial dispute, it’s helpful to have a police report on file. Report identity theft. If the scammer got your personal information and successfully applied for or used credit in your name, report identity theft to the Federal Trade Commission (FTC). Contact the credit bureaus. If the scammer got your personal information, contact the credit bureaus and place a fraud alert on your file. This will alert prospective creditors and lenders that someone might be trying to use your identity to apply for credit. An initial credit alert expires in 90 days. By completing these steps, you can minimize the impact of business loan scams. You should also be extra vigilant going forward and work only with well-respected lenders and companies. Applying for a business loan can be intimidating, especially when there are dozens of lenders competing for your business. Knowing who you can and can’t trust is difficult. The best way to avoid business loan scams is to maintain a healthy skepticism and ask questions throughout the loan application process and beyond. And ultimately, trust your gut. If something sounds too good to be true, that’s because it probably is. Despite your best efforts, if a business loan scammer manages to reel you in, there are ways to mitigate the damage. Report the scam right away to the credit bureaus and appropriate government agencies. And be extra vigilant going forward. Getting a small business loan should be a positive experience that helps your company accomplish great things!